"As we grew up, my brothers acted like they didn't care, but I always knew they looked out for me and were there!" these were the words of Catherine Pulsife. The kind of love and affection that brother-sister share is absolutely incredible! There's always an amazing kind of glutton for showing love and care to each other. 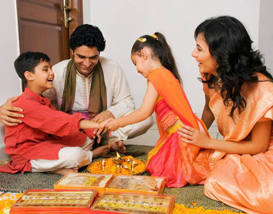 And, the whole act of tying Rakhi perpetuates the sweetness of the relationship, and makes it way stronger. 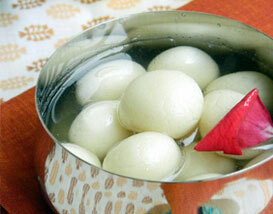 It may look alien to some foreign person, but its significance is immense for every Indian sister. No matter where her brother is, how far he is; a sister's first priority is to search for a desirable gift for her brother. 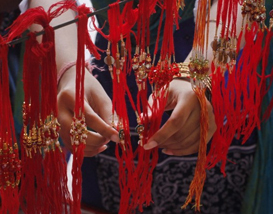 There are different types of Rakhis available in the market; every sister chooses one as per the taste and personality of her sister. Silver Rakhis are designed in silver color, with the embellishments of stones, pearls and beads. These look very elegant; and they are sure to add on to the looks of anyone who wears it. These Rakhis are available in different shapes. Spiritual Rakhis are one which is available in the shape of God or Goddesses, or any of the symbols associated with it. Spiritual Rakhis include, OM Rakhi, Ek Omkar Rakhi, Ganesha Rakhi, Rudraksha Rakhi and many more. 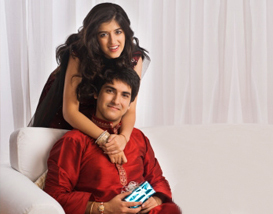 These are some of the best Rakhi categories that sisters can look for, to make their brothers feel special and loved. Apart from this, there are many more categories that can easily be looked for, on different online stores. Shopping online is convenient, because it offers the ease to send Rakhi to Australia, USA, UK, Canada and many other parts of the world, which hold a large part of Indian population. 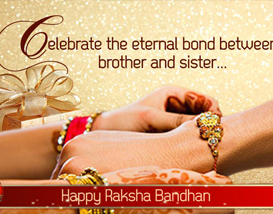 This Raksha Bandhan, make the right selection for a Rakhi to show far-flung brothers that they are the precious gems of their sisters life, and that fact will never change, no matter what.